Rogue One: A Star Wars Story has been out for a couple of weeks and word with most Star Wars fans is that it was a damn good entry in the franchise. It certainly helped those who needed their fix from a galaxy far, far away. But all eyes are still on Star Wars 8. We don't know much about it, though star Adam Driver has some very kind and encouraging words about the upcoming sequel capturing how he feels with just one single word about the script. The actor spoke with The Daily Beast about his new movie Silence. Naturally, the subject of Star Wars 8 came up, and when asked, he said all of the right things about director Rian Johnson. And the man's writing abilities. Even if they he doesn't give us any actual new information about the story or what Kylo Ren may be up to. Here's what he had to say. "He's a brilliant filmmaker. And he wrote the script also, and he understands the importance of ambiguity and nuance. He wrote something that I think is remarkable." So at least on paper, Star Wars: Episode VIII is "remarkable," which is a pretty great thing to hear. Granted, it isn't like one of the core cast members of the new Star Wars trilogy is going to say anything overtly negative about it, but still, nobody is forcing him to go out of his way to say such nice things about it, either. Rian Johnson took over directing duties for this entry from J.J. Abrams, who helmed Star Wars: The Force Awakens and helped successfully relaunch the franchise. 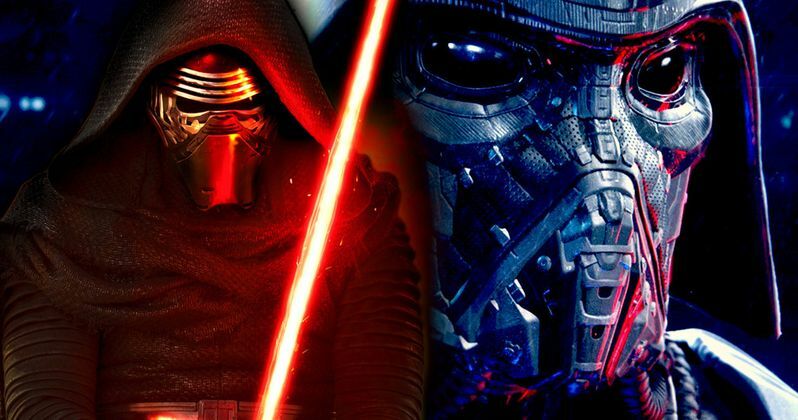 Adam Driver's comments do echo what J.J. Abrams said about Star Wars 8, who reportedly said the script was so good that he is disappointed he isn't directing it. Again, seriously high praise. Outside of the praise, we still know next to nothing concrete about Star Wars 8. We don't even have an official title yet. Many fans expected that there would be at least some sort of announcement about the movie made at Star Wars Celebration earlier this year, but we got nothing. With the release date for the movie about a year away, it is surprising to many to not even have that much, considering that the first teaser for Star Wars: The Force Awakens was released more than a year away from the release. Lucasfilm President Kathleen Kennedy has said that they want to keep the focus on Star Wars: Rogue One right now, which makes total sense. She also said that we should expect some sort of Star Wars 8 news in the spring. Given that Star Wars Celebration is in April this year, it seems very likely we will see a trailer around that time. For right now, we will have to deal with knowing very little about director Rian Johnson's upcoming contribution to the Star Wars saga, but at least everything we are hearing is very positive . The movie stars Daisy Ridley, John Boyega, Adam Driver, Domhnall Gleeson, Oscar Isaac, Carrie Fisher, Benicio Del Toro, Laura Dern, Gwendoline Christie, Andy Serkis, Lupita Nyong'O and Mark Hamill. Star Wars: Episode VIII it is set for release on December 15, 2017.